The Adventures of Annabelle Lyn sounds like the title of a timeless tale—and that’s just the way Elizabeth Fravel, Kathryn Belle Long and Holly Riley intended it. The three-piece acoustic trio, based in Tallahassee, covers considerable roots-inspired ground, mixing lifelong influences of Carolina bluegrass, Delta blues, classic country, vaudeville jazz, musical theater and Appalachian folk into their classically tuned sound. But it’s a literary flourish that sets these three women apart. Answering Folio Weekly’s questions about the band in unison, they reveal that “Annabelle Lyn” is derived from the combination of their middle names—and that their shows and albums over the last few years have built up a carefully crafted narrative worthy of a Victorian novel. 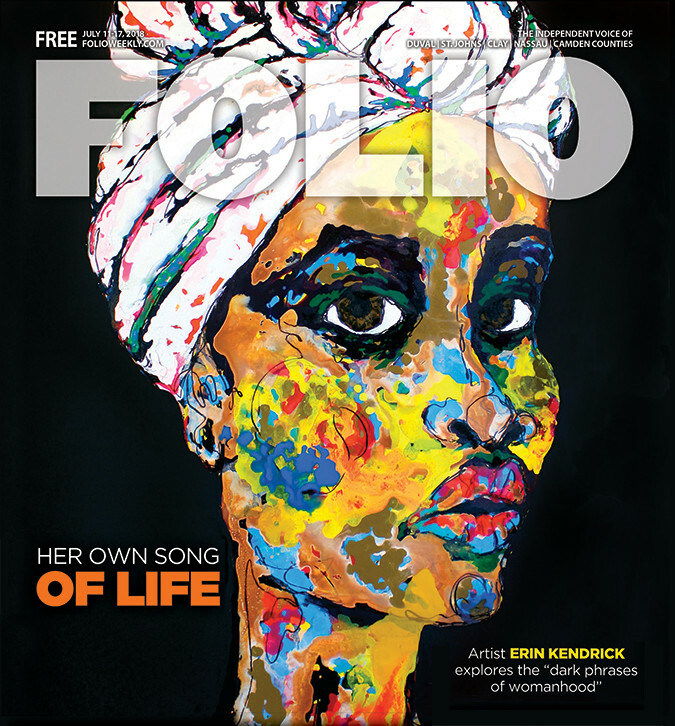 Folio Weekly: Tell us more about Annabelle Lyn and her adventures. The Adventures of Annabelle Lyn: We wanted to create a fictional heroine who would undertake different adventures in the form of theme shows. One of our first shows was titled Annabelle Lyn & the Old Time Train Heist. We dressed up as train robbers and sang songs about busting out of prison. Another popular theme show was titled Annabelle Lyn & the Siren’s Song, where we dressed up as mermaids and sang songs about the ocean and shipwrecks. We’ve even done a Beatles show we called Annabelle Lyn’s Lonely Hearts Club Band. We think of Annabelle Lyn as a fearless girl ready to take on the world, and her zest for life speaks to our love of mystery, travel, romance and adventure. We hope she will become an epic comic book character someday. That’s not a concept bands usually develop over time. What kind of musical influences allowed you to pull it off? Elizabeth’s mother is an accomplished multi-instrumentalist, songwriter and singer, and Elizabeth grew up playing, singing and writing music while attending music festivals all over the East Coast. Elizabeth still plays the upright bass she inherited at the age of 7. Kathryn also grew up in a musical family. Her brother, a student of classical guitar, taught her guitar and songwriting, and she studied musical theater performance in college while working as an actor, dancer and singer in New York City and Orlando. Holly started violin at age 5 and began playing fiddle in bluegrass bands in early high school, followed by numerous old-time, country, folk and jazz groups. All three of us are songwriters, and because of our eclectic blend of influences and genres, we can develop and arrange our compositions in truly original ways. Is Adventures of Annabelle Lyn a full-time gig for the three of you? We all teach in the community. Elizabeth currently teaches first grade and serves on the board of directors at the Suwannee Spirit Kids Music Camp. Kathryn teaches performing arts at a public middle school, and Holly teaches as a graduate assistant at Florida State, where she is currently pursuing a PhD in Ethnomusicology. We certainly dream about making the leap to pursue our art on a full-time basis. We’ve worked hard to craft our sound and performance so that we can ask for financial compensation that reflects our worth. But it’s always a work in progress. What is it about the all-acoustic format that inspires and motivates you? For moments in time, we become a part of each other’s stories—we feel the same emotions, experience the same energies, and walk the path of each song’s crescendos and breakdowns together. The harmonic and dynamic nuances we hear through this intimate interconnectedness inspires us to create something larger than the sum of its parts. Your most recent album, Chasing Horizons, came out earlier this year. How does it fit into the Annabelle Lyn narrative? Chasing Horizons is filled with songs about traveling and using the lessons learned along the way to propel oneself forward into a new adventure, a new place or even a new life perspective. The album contains songs based on our experiences all around the country. Elizabeth’s song “Arizona Time” talks about her crazy drives through the Southwest deserts, Holly’s “Pretty Little Lights” was inspired by the holiday season in Greensboro, North Carolina, and Kathryn shares memories of love and family in “Portland.” The detail and care we put in sets the album apart. All tracks include three-part and even four-part harmonies and intricate, interweaving string parts. We multitracked everything at FSU with Commercial Music graduate Adam Overton, giving it a cleaner sound that serves as an excellent representation of our performance and collaboration. How has the music community in Tallahassee helped the band grow and evolve? Has the band played Jacksonville before? This will be our second time. Last summer’s performance was our very first stop on our very first tour, so the energy and excitement we felt was incredible. This year’s performance is also the first stop on our Southeast tour, so we look forward to more good vibes and new connections. You play a healthy mix of clubs and festivals. What are the major differences between the two for Annabelle Lyn? Festivals give us the chance to meet other musicians and hear and support other bands, offering a camaraderie unlike other venues. We get the chance to jam with veteran musicians, and we can meet and talk with many of our musical heroes, who then become our friends and [part of our] musical family. Music halls and listening rooms are well-suited to our original tunes, as well—although our rowdy bar gigs with cover song arrangements are also fun!